The L-39 Turbojet was designed and built by Aero Vodochody, a Czechoslovakian aircraft company. Stallion 51’s L-39 was manufactured in 1981 and acquired by the company in 2010. 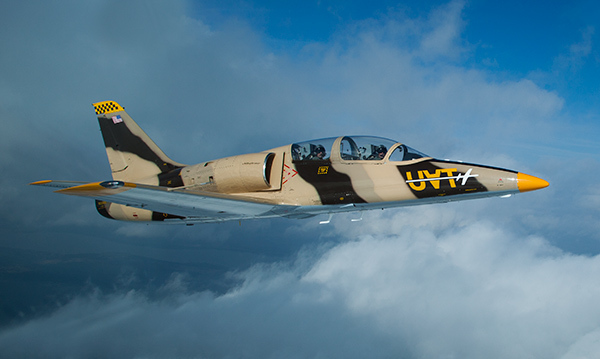 The L-39 is a versatile, high performance jet trainer aircraft with a dual cockpit that allows for excellent student-instructor flight training. After acquiring the aircraft, Stallion 51 implemented major modifications, including the installation of a state-of-the-art EFIS (Electronic Flight Instrument System) to simulate current corporate jet aircraft, and an onboard camera system that is used to record training flights for review in debrief.